Zoo habitat designers are responsible for designing animal exhibits and overseeing their construction. They must oversee all aspects of exhibit design from initial planning through final construction. Their duties include coming up with the design concept and writing a design proposal, choosing plants and landscape features, estimating expenses, supervising fabrication and construction, consulting with zoo personnel, and supervising the construction staff. While creating an exhibit concept, zoo habitat designers must research the animal’s natural environment and try to replicate that as faithfully as possible within the constraints of the exhibit area. They must also seek information about the animal’s behavior as it relates to containment (i.e. they must know how far an animal can jump, whether it can swim, and how strong it is to ensure that it is safely housed in the exhibit and separated from members of the public). While working on an exhibit, the designer must collaborate with curators, keepers, zoo educators, and veterinarians to determine the best way to accommodate the needs of both animals and visitors. A habitat designer may work long hours during the design and construction of an exhibit, particularly on nights and weekends, if the schedule is tight. It is important that designers are able to manage their time carefully to meet deadlines and to allow for potential setbacks in the construction process. Designers may also be exposed to changing weather conditions and varying temperatures if they happen to be working in an outdoor exhibit area. Habitat designers may find projects with a variety of organizations including zoos, aquariums, marine parks, animal parks, theme parks, museums, and wildlife conservation centers. They may also transition to a variety of positions within zoo management, including curator roles. Others may choose to leave zoo design and pursue other aspects of landscape and architectural work. While some designers are self-employed, many work for large firms that may or may not specialize specifically in zoo work. Some large zoos also hire habitat designers as full-time staff members. In most cases, a zoo habitat designer holds a degree in architecture or landscape architecture. Some have an additional degree (or significant experience) in zoology, wildlife biology, animal behavior, or another animal-related field. A designer should also have signification experience with computer-aided design (CAD) as well as knowledge of how to obtain necessary permits and complete construction documentation. 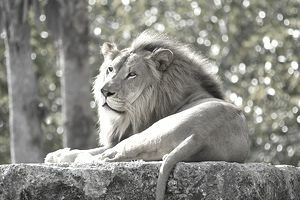 Knowledge of animal behavior and physical requirements is beneficial, though this information can also be acquired through research and discussion with zoo professionals. There are many zoo related internship opportunities that an aspiring designer could take advantage of to gain valuable experience and knowledge of animal behavior. Internships involving landscape and architecture work are also extremely valuable for those hoping to pursue this career path. Zoo habitat designers may be members of professional groups such as the American Association of Zoo Keepers (AAZK), an organization that boasts members in all levels of zoo management from keepers to curators. The AAZK currently boasts a membership of more than 2,800 zoo professionals. The International Zoo Educators Association (IZEA) is another professional group that includes designers in its membership. The IZEA seeks to improve the quality of zoo education and to promote interaction of zoo professionals with the public. Compensation can vary widely based on the size of the project, the financial backing of the institution and the specific responsibilities involved. The Bureau of Labor Statistics (BLS) includes zoo habitat designers under the more general category of landscape architects in its salary surveys. During the most recent salary survey conducted in May of 2012, landscape architects earned a median annual wage of $64,180 per year ($30.86 per hour). The lowest ten percent of landscape architects earned less than $38,450 per year while the highest ten percent of landscape architects earned more than $101,850 per year. As with most careers, compensation is directly commensurate with experience in the field. Zoo habitat designers with many years of experience or those with a coveted area of expertise can expect to earn top dollar on the salary scale. The Bureau of Labor Statistics projects that landscape designer positions will grow about as fast as the average for all positions (at a rate of approximately 14 percent from 2012 to 2022). With growing public interest in seeing zoo animals housed in natural looking and well-designed exhibits, the prospects should be good for those entering the zoo design niche of the landscape design market.